What happens to gifted artists who slip through the cracks? “Searching for Sugar Man” takes us on an 85-minute journey to answer this question. We begin in the backseat of a convertible driving along a winding mountain highway, with the ocean on the right. The setting: South Africa, where Mexican-American musician Sixto Rodriguez has a huge cult following. The narrator is in search of Rodriguez, but has no idea if he’s among the living, having heard that Rodriguez burned himself alive on stage. Detroit. Some time in the mid-to-late ’60s. A foggy night. “Here’s this voice,” says the speaker, who followed his ears into a dark, smoky bar, where he saw just a shadow in the back of the room. Moving closer, he noticed a singer hunched over an acoustic guitar, with his back turned to the crowd. Who was this man? One local who had bumped into Rodriguez in different areas of Detroit describes him as a “wandering spirit around the city,” and concludes “I thought he was a drifter.” A session musician who discovered Rodriguez and later co-produced his first album had no idea where Rodriguez lived at the time; he always asked to meet at a corner, then seemed to appear out of nowhere. 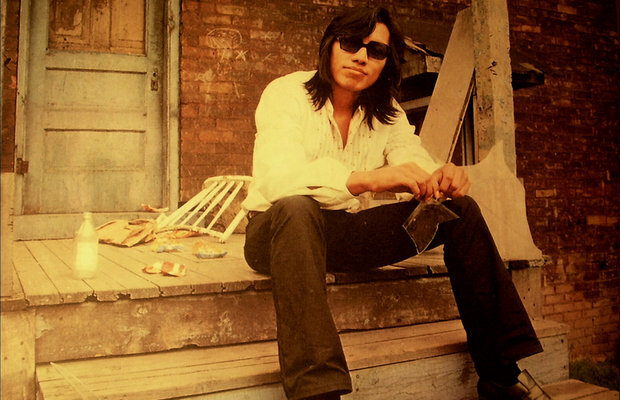 What we do know is that Rodriguez was a no-nonsense street poet who channeled his hard surroundings in Detroit, called “the city of small hopes” by one of his daughters. 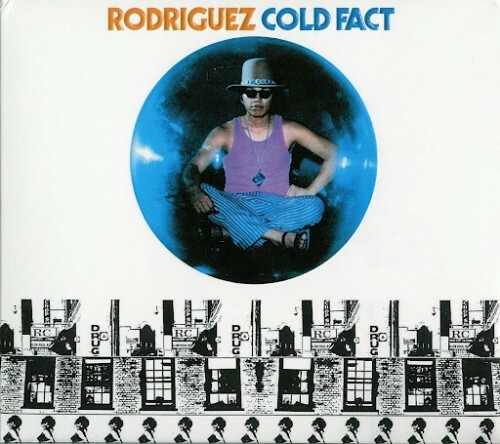 Rodriguez’s first release, “Cold Fact” (1970), was a mix of blues, Dylanesque protest folk, singer-songwriter pop, and straight-up rock. Rodriguez’s voice and acoustic guitar drive the sound, while his co-arrangers add flute, horns, strings, and assorted psychedelia. Palm Springs, CA. Steve Rowland, the producer of Rodriguez’s second album, “Coming from Reality” (1971), pulls out a book of photos he hasn’t looked at in 35 years, the last time he saw Rodriguez. As always, Rodriguez is hidden behind sunglasses in all of the photographs. At the time Rowland produced “Reality,” he thought Rodriguez might be destined to fame and fortune, but the album went nowhere in the U.S.
Rodriguez was dropped from his label two weeks before Christmas, and disappeared. Back to South Africa. Cape Town in the early ’70s. The country is led by an oppressive, reactionary government that outlaws television, allows no independent media, and censors albums. Civil servants listen to records before they hit the racks, and scratch the grooves of any songs deemed offensive to make them unlistenable. “Cold Fact” finds its way into South Africa via bootlegs and spreads like wildfire. Its messages of freedom and dissent appeal to young people bridling under a closed society which is isolated by government controls and external sanctions against a brutal Apartheid regime. One of the kids liberated by “Cold Fact” is Stephen Segerman, who goes on a search for Rodriguez in the ’90s. 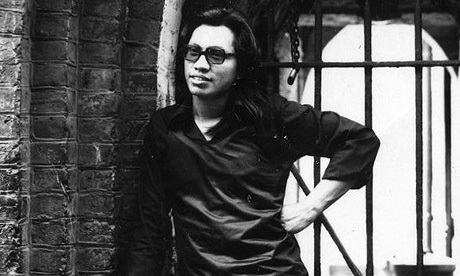 There are few concrete, cold facts about the artist known as Rodriguez. The songwriting credits on his debut album list three different names; album jacket photos from more than two decades earlier are all Segerman has to go on. In the liner notes to a South African label’s re-release of “Cold Fact,” Segerman asks if there are “any musicologist detectives out there?” who can help him in his quest. Music journalist Craig Bartholomew Strydom finds out about the hunt and joins forces with Segerman, though he has heard a rumor that Rodriguez had fatally shot himself onstage after being booed. Strydom follows the money, the route the royalties from Rodriguez’s platinum album sales in South Africa have traveled. He interviews Clarence Avant, the head of Rodriguez’s Sussex label. Avant praises Rodriguez’s work, but has no insight into why he flopped in his native country while his Detroit contemporaries (Grand Funk Railroad, Ted Nugent, Iggy Pop, Bob Seger) went on to successful careers. Avant has no answers about the royalties or Rodriguez’s fate after being dumped from the label. In 1997, Segerman and Strydom set up a website dedicated to Rodriguez which solicits leads on the musician’s whereabouts. Segerman thought the story was over soon after finding this post, but it was just beginning. The last third of “Sugar Man” carries a number of surprises that I won’t reveal; do yourself a favor and see this movie. Narrative arc aside, the heart of “Searching for Sugar Man” is a meditation on the power of art to transform and transcend reality. 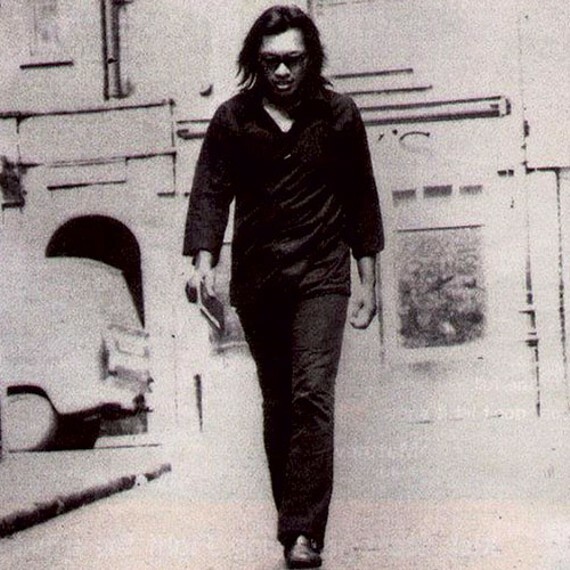 Reprinted by kind permission of Truth and Beauty: “Searching for Sugar Man”. How is it Stephen (“Sugar”) and all @ Mabu? I’ve just watched the documentary(Malik did a great job), and thought it was fantastic! Kudos to all concerned. He was a similar success in Australia as well, and I can remember buying his album in 1976.Still have and enjoy it to this day,talk about transcending time.It does have that timeless quality.I especially like “Street Boy” and could relate to the lyrics at the time.It helped put me on the strait and narrow,to focus.Strange how you find something so meaningful and fulfilling half a world away.Thanks for putting this great “doco” together : ) Peace.